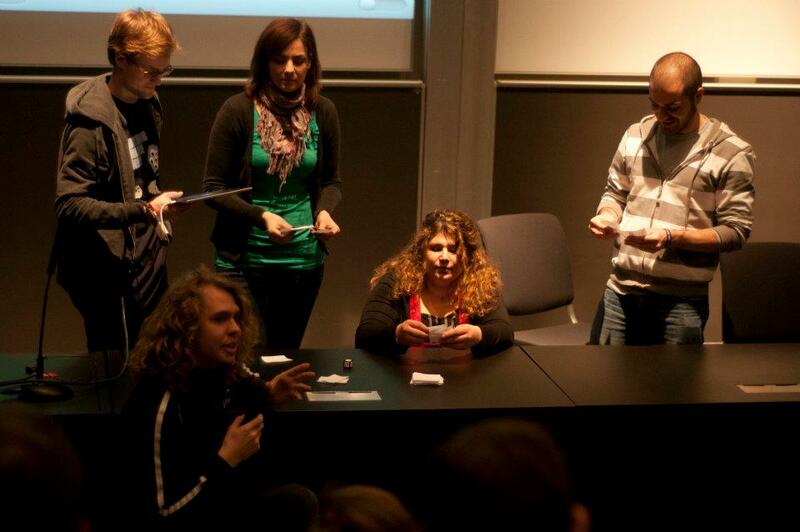 Developed in 48 hours at Nordic Game Jam 2012. You are a brotherhood of buddhist monks living in a secluded monastery. As every buddhist you believe in reincarnation and value all forms of life. You want to get to your next carnation hoping to finally rich nirvana. But you cannot simply kill yourself since all life is sacred. Instead you take baths in cold mountain rivers hoping to get a bad cold, and put stones in your shoes when walking in the valley to get blisters. Doing so you’ll keep losing your health, and maybe eventually die. But remember! Be very convincing when you explain your “accidental” health problems to your brothers. At the same time, do your best to attend to your brothers’ wounds and other health problems. As a good buddhist you want to nurish your brotehrs and comfort them as much as you can. Plus you can’t let them get to nirvana before you do! Below a video is showing an early playtest we did. A live demonstration of Ring the Gong during Nordic Game Jam 2012.